But the cost of living in Italy is actually quite affordable compared to visiting the country. If you are reading this post, perhaps you’re thinking about moving to Italy in the near to the distant future. One of the things I think people grossly underestimate when making their decision to move to Italy is WHERE EXACTLY they want to live. This decision can make a HUGE difference on not just the cost of living but also your quality of life. North, South, East, West: Italy changes and often dramatically. Let’s start off with Milan because it is, after all, the Italian City I know best. According to Mercer, Milan ranks #33 as the most expensive place to live in the world for expats. Keep in mind that’s ahead of Rome #46, making it the most expensive place to live in Italy. Basically, that means it's only going to get cheaper from here. Without a doubt, the most significant expense you’ll have is going to be accommodations. Renting and purchasing in Milan is not cheap. If you’re American (from anywhere other than like New York or San Francisco), the shock of the size of your accommodations is a big hurdle. You should set your expectations for something small, maybe even tiny. Once you’ve managed those expectations, you’ll be just fine. 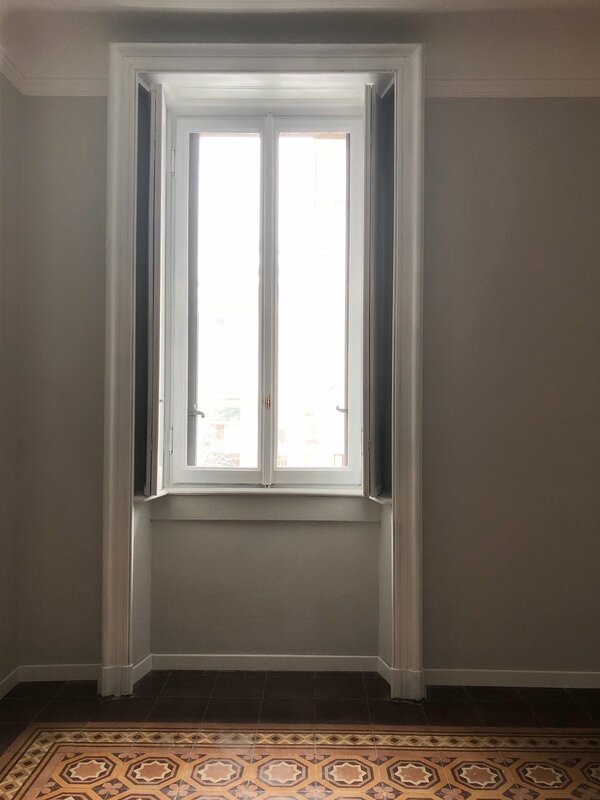 A furnished and updated one bedroom in a centrally located part of Milan will cost you around 1200€ per month. The typical size for that price range is 40-60 sq meters (or about 430 to 645 square feet). But I like to remind people that’s like expecting to live in the Upper East Side. If you’re okay with living in a less central middle-class neighborhood, a furnished one bedroom will run you about 800€ per month. A room will cost about 500-600€ per month in a shared apartment. Expect to pay another 100-150€ per month for utilities like water, electricity, heating, and internet (if it’s not included in your rent). A monthly cell phone bill in Italy will cost around 10€ per month excluding the cost of the phone. So while the cost of living accommodations in Milan can certainly eat up a budget, it’s not as high as you might imagine. The beautiful, glorious food. The food in Italy is delicious and for the most part cheap if you’re buying local Italian ingredients. When I lived here as a student and shopping for just one, I probably spent as little as 20 euros per week, so 100€ per month on groceries. With age, my food habits have changed. You’ll often find fresh octopus and grass-fed slow food beef in my fridge. Shopping like that will cost you about 400-500€ per month for two people (plus a few guests coming over from time to time). But I still think that’s a bargain. Grocery shopping like that would probably cost over a grand per month in the States if you could even find some of those delicacies at the store. Most larger companies provide employees with a food stipend for lunch which Italians generally call a “ticket.” The average amount of a ticket is valued between 5-9 euro, and you’ll get one per workday each month. Lunch in the city center will cost you about 6-7 euros for a panino and a beverage or 10-15 euros for a sit-down lunch special (primo or secondo, water, and coffee). Obviously eating out/restaurant prices change drastically depending on the type of restaurant. The classic Milanese social setting by definition is the aperitivo, which is essentially happy hour where the price of your cocktail includes some snacks. These snacks could be as simple as roasted peanuts and chips to a full out all you can eat buffet. Aperitivo will cost you between 8-15€ per drink depending on where you go. A Margherita Pizza will run you about 5€ if you go to a mom and pop type place. 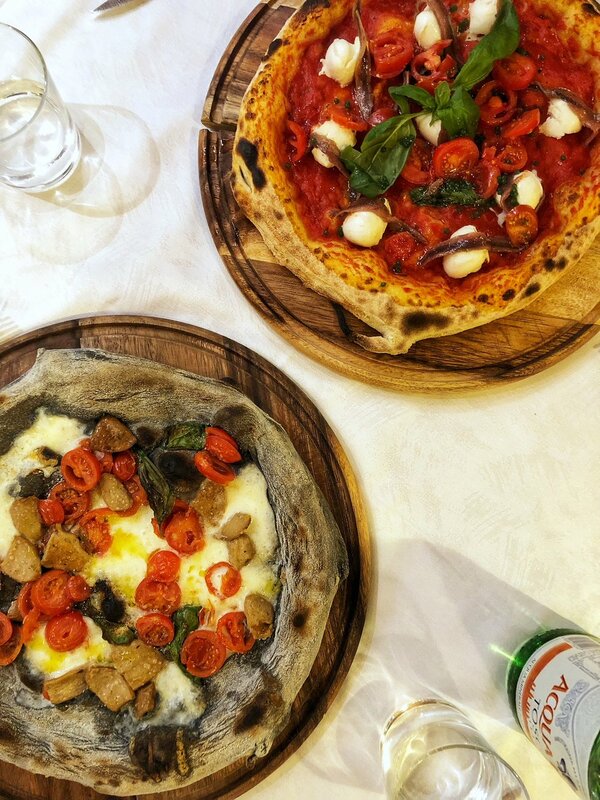 If you want a gourmet Margherita with a crust made from a mix of ancient grain flours and fresh mozzarella cheese that will cost around 10€. Dinner at a nice seafood restaurant generally costs about 40-50€ (antipasto 15€, primo 18€, and dessert 8€). If you want something super fancy, a tasting menu at Enrico Bartolini’s two Michelin star restaurant ranges between 145 - 180€. Drinks were excluded in all of the above prices. Remember in Italy taxes are almost always included in prices. You’re not expected to tip, but the “coperto” service charge is around 2-5€ per person. Sign up to get my comprehensive guide to moving to Italy the minute it hits the shelf. Public transportation in Milan rocks. It covers a wide range of the city with four metro lines and plenty of buses. It’s also pretty affordable. A 90-minute ticket (with one metro entrance) costs 1.50€. A monthly pass costs 35€. Besides public transportation, you can also use a multitude of car-sharing services: Drive Now, Car 2 Go, Enjoy. There is also bike sharing companies: BikeMi, Mobike, Ofo. They even have a scooter sharing program, Mimoto. I don’t suggest buying or leasing a car in Milan. Besides the usual car costs (purchase price, insurance, etc.) the variable costs will really get you here in Milan (and Italy as a whole). A liter of gas right now averages 1.6€ per liter (that’s 6€ a gallon!!!). You will find relatively few free parking spots on the streets. Paid parking on the street can cost anywhere from 1-3€. Thanks to the great public transportation system, and without having a car payment and insurance, the cost of living in Milan probably seems pretty attainable. Health care is public in Italy. You’ll pay into the system through your taxes or by paying a separate amount directly into the health system. The annual cost if you’re a student is approximately 200€ and if you’re an independent contractor expect to spend around 400€. Primary care like seeing your medico di base (general practitioner) is included in this amount. Some medications are also included, some you’ll have to pay a small co-pay, or it won't be covered at all. I haven’t quite figured out what determines the price, but when visiting your GP or the pharmacy, you can ask if there are cheaper generic equivalent. So, for example, birth control will cost about 3€ for the generic and about 20€ for the name brand pills. You’ll also have a copay on specific additional visits or treatment. For example, an MRI through the public system will cost you around 80€. The cost of your personal care is also quite sensitive to where you want to go. If you go to Aldo Coppola (known to have customers like Noami Campbell) styling there starts at 65€, but if you get it done by Ms. Coppola, the price starts at 130€. Conversely, you can go to a Chinese hair salon and get a wash and blow dry for 10€. Quite a few of my friends get their hair done at R&C Milan Spa and love it. A blow out will cost you about 30€. I like going to Bluette (an Aveda Salon) for my bikini wax. That is about 10€. A monthly gym membership will cost you between 50-125€. Of course, you also have to account for miscellaneous costs in your budget. Washing and pressing a shirt at the dry cleaners will cost around 2€. Full fare ticket at the movies costs about 9€. Full price tickets at the Museo del Novecento costs 10€ per person. If you want to go to a big deal “derby” matchup between Inter and AC Milan, tickets start at 55€. The median priced ticket at Teatro alla Scala opera house is about 110€ (but they start at as cheap as 25€ for a seat that is partially blocked). Round trip airfare from Milan to Barcelona with EasyJet purchased about two months out, that will cost you about 100€. What is the monthly cost to living expenses in the city of Milan, Italy? So let's break it down. For this example let’s assume you’re single and have a mid-level management position making 1800€ per month after taxes. (I know my American readers are about to roll over and die at that amount.) Your monthly expenses will look something like this. That would leave you with 100 euros per month for savings. And correct me if I’m wrong, but I consider that living pretty comfortably going out about twice a week. Going to the gym and getting your hair cut once a month if you’re a guy. For the ladies, that’s estimating no gym membership but getting your nails done twice a month plus one blow out. Plus another 200€ for discretional spending or additional savings. If you make more money than that, kudos to you. Or you can save some money and get a room instead of a place for yourself. And remember MILAN IS THE MOST EXPENSIVE CITY IN ITALY. Have I convinced you? Is living in Italy cheaper than you expected? Or do you live in Milan, and spend more or less than that amount? I’m looking forward to your opinion or thoughts in the comment box below. Photo Credits. The photo of the Milan Duomo and the Porta Garibaldi train station were taken by Daniela Delli. The other photos were taken by me.